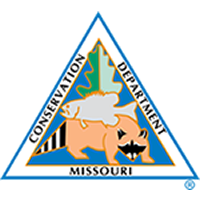 You can now bid on items from the Missouri Department of Conservation year-round and online. MDC’s semiannual, live auctions that took place in June and October in Salem, MO have been replaced by an auction site used for government agencies. They are now selling department-used vehicles, boats, motors, farm equipment, and more on the 24/7 website. MDC news services coordinator, Joe Jerek says it was a combination of online shopping convenience, time savings, and cost-effectiveness that pushed them to make the move. “Different staff would have to load stuff up, haul it down to Salem, MO, and then some of our other staff would really spend a lot of time inventorying each item, getting it ready for auction, advertising that auction, staffing that auction, and then the follow-up after the auction,” says Jerek. Now, bidders can immediately access any item as it goes up for bidding. Items listed include details and pictures, inspection information, bid dates, pickup information, and payment methods. MDC staff is also readily available for any questions or assistance. Proceeds from the ongoing auction are put back into the department’s budget to help the fish, forest, and wildlife resources of the state. You can access the auction site at www.govdeals.com.